One friend of Butch’s called him the Pastor of Hartford’s North End. “A pastor is a shepherd, and everyone came to Butch with their problems.” With his friends he established a block watch, forced the city to install a stop sign at a dangerous Vine Street intersection, started a fishing club for kids at Keney Park. He never became a politician, never used his reputation for fame. Charles ‘Butch’ Lewis was born in Fredericksburg Virginia. An early memory he sometimes shared was the slave auction block that stood in the center of town in front of Planter’s Hotel. It dated back to the 1850s A constant reminder of the lasting legacy of racism, as if he needed one. The auction block still stands today. Butch moved to Hartford and was raised by his grandmother, Margaret “Big Ma” Havlowe. She was a domestic worker who finished the fifth grade but spoke three languages fluently. He graduated from Weaver High School, and was drafted into the army in 1963. When he returned to Hartford from the Vietnam war, there was more violence: the brutality of racism and poverty, the oppressive police presence in his north end neighborhood. “I came back to the same bowl of crap,” he told an audience in 2014. He was damaged by the War, the same way his friends were. On hot summer days he had flashbacks and swore he could smell death. At night he and his buddies went to Keney Park, smoked weed and talked about what they couldn’t get out of their heads. He said Hartford lived in the Valley of Death– Springfield to New Jersey–where weapons for personal and military use were manufactured. Colt Firearms produced the M-16s that Butch and his buddies carried during his tour in Vietnam. It was Big Ma who told him not to re-enlist for a second tour. 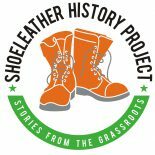 In 1968, just two months just back from Vietnam, Butch and his friend Donny Mounds (who had been a Marine) started their own unauthorized chapter of the Black Panthers. “We read about it in the papers,” he said. 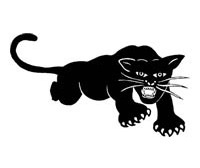 By 1969 the Panthers had reached Connecticut and established chapters in Bridgeport, Waterbury, New Haven, Norwalk and Stamford. Butch and Donny led the formation of the Hartford chapter. Butch successfully recruited black youth in the city, and at one point held a meeting with 60 teenagers in Bellevue Square. 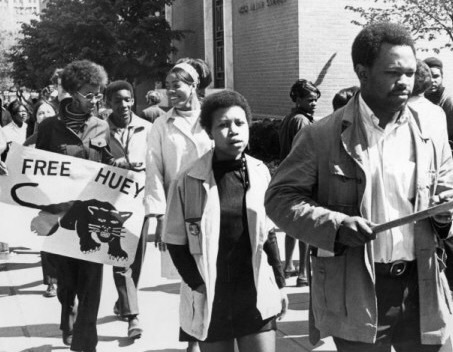 He talked about the Panther’s Ten-Point Program and showed “Huey,” a documentary made by the radical film group Newsreel. Teens as young as 14 sold the Panther newspaper on the street and were regularly harassed and busted by the cops. He was frequently questioned by the FBI, which sent secret memos about him directly to J. Edgar Hoover. His friend, journalist Lew Brown, has the distinct memory of being out on the street with Butch during a night-time police raid. “There was a police sniper aiming at Butch. A friendly cop warned him to move away.” Because of his Panther activity he expected attempts on his life, and for a while he lived in Nigeria. 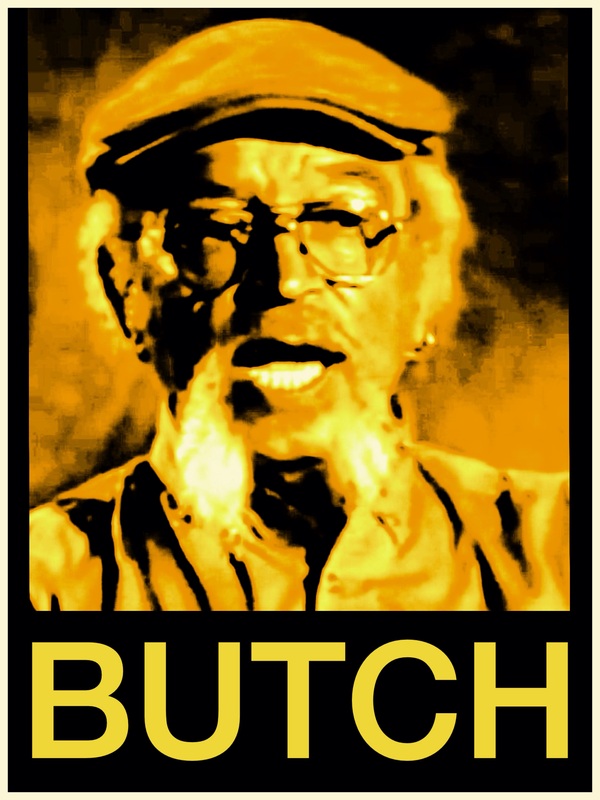 There Butch helped activist and actor Ossie Davis produce “Kongi’s Harvest,” a film that starred African freedom fighter Wole Soyinka, the Nigerian 1986 Nobel Literature Prize winner who wrote the original play on which the film was based. The movie had its 1973 American premiere in Hartford. Whenever he was needed, Butch and his comrades were there. When Weaver High School students walked out of class to protest the suspension of three students who distributed their own newspaper without permission, Butch was called on for support and advice. His presence was a counterweight to the adults who urged the students to return to school. As long-suppressed outrage turned to street violence in the summer of 1969, Butch and the Panthers were on the street, “patrolling the police,” as another Panther described it. On one of those nights the police shot each other with teargas and lobbed gas canisters into nearby apartment houses, endangering small children. The Panthers organized a community meeting, along with the Urban Religious Coalition, to expose the gross overreaction by the police. He was arrested a number of times, falsely accused of rioting, on bomb-making charges, and in connection to the New Haven murder Panther informant Alex Rackley, orchestrate by a police informant. Friends mortgaged their homes to bail him out of jail. Through his contacts at St. Michael’s Church on Clark Street, Butch and the Hartford Panthers established a highly successful free breakfast program for kids. Hot meals were served each school morning for 30 to 150 kids. Butch had asked black churches to host the program but everyone refused. Father Leonard Tartaglia opened the church doors at St Michael’s. He was fondly known by Butch as the “Hoodlum Priest” (from a popular movie of the same name) whose roots were deep in the community. Fr. Lenny also left the keys in the church van, according to Butch, so the Panthers could do errands and get to meetings in New Haven. The gas tank was always full the next morning, Butch recalled. Barbara called on Butch. The Panthers helped the mothers form a traffic blockade on Flatbush Avenue. The police arrived to break up the group, but they vowed to return the next day. Both the governor and the Hartford’s mayor responded immediately to the mothers’ bold action. A city crew inspected the river bridge and found serious structural damage, which they quickly addressed. An obstruction down river had artificially increased the river’s depth. It was removed and the water level returned to a safe level. “The Panthers were a force to be recognized,” remembered Barbara’s daughter, who had joined the traffic action as a young girl. The Party only existed for about four years in Connecticut, in large part due to the COINTELPRO sabotage program conducted by the FBI. The debilitating 1970 trial in New Haven of Panther leaders Bobby Seale and Erika Huggins drained the group’s energy and resources. Hartford’s chapter didn’t last all that long. Its leadership changed on a regular basis. 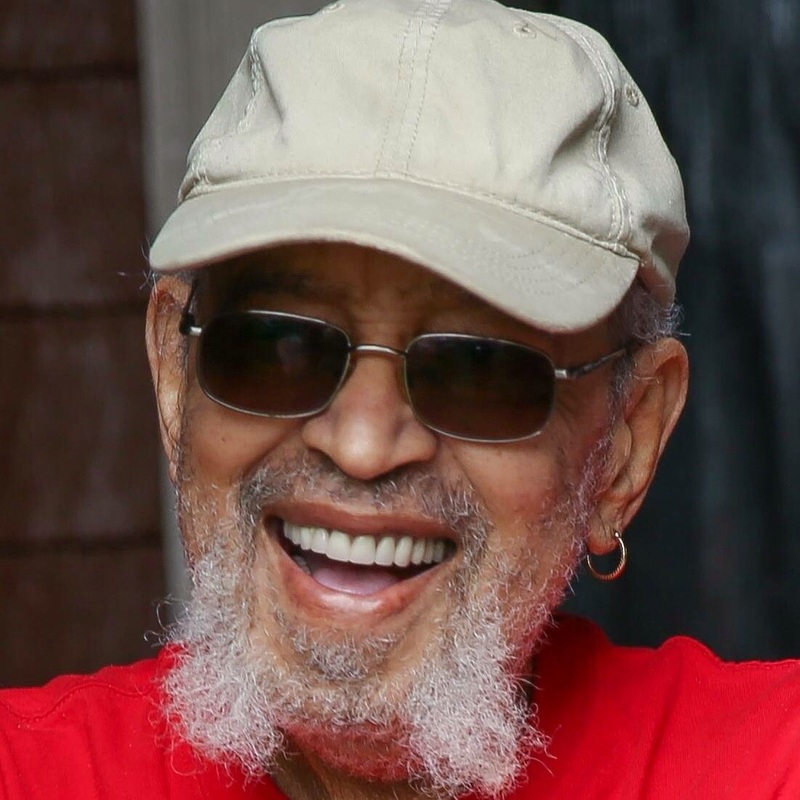 Butch himself was first a Panther leader and later became a representative of the Intercommunal News Service, the Black Panthers’ press affiliate. 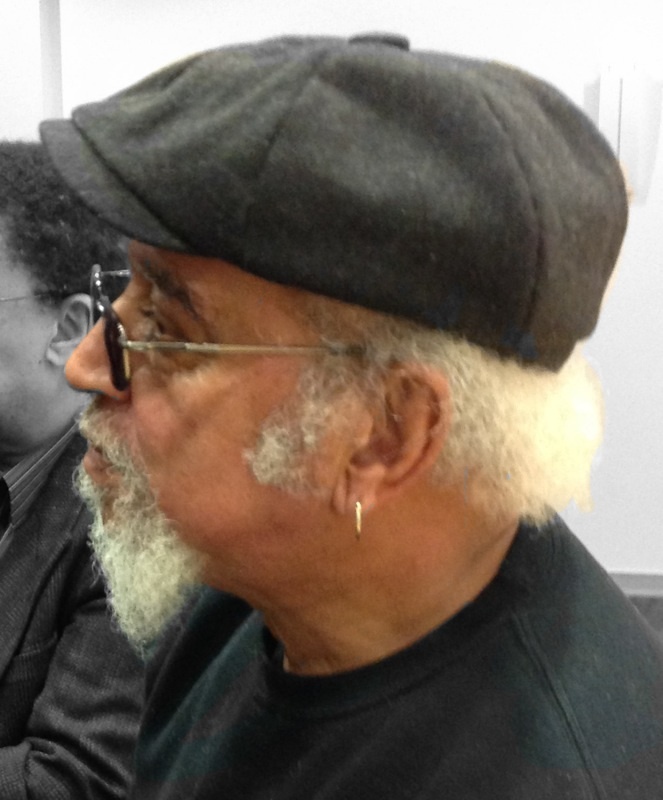 Butch described the Panthers as “an army of people who are fighting for the people, the oppressed people.” Butch and the Panthers were part of the broader fight for social justice in Hartford, along with the Black Caucus, the North End Community Action Project (NECAP), religious activists (often led by Leonard Tartaglia), the Communist Party, and Education/Instrucción, which targeted institutional racism in housing, among others. In the last few years public meetings and panel discussions featured Butch and the Panthers’ story. Butch was asked to sum up his life and provide an analysis of the 60s and for the “next steps” to end racial oppression. An impossible task, but Butch was always patient with the questioners. “The first step is to be a human being,” he once replied. That is the Butch Lewis legacy. This entry was posted on September 29, 2015 by Steve Thornton in African American, Black Panthers, Hartford.